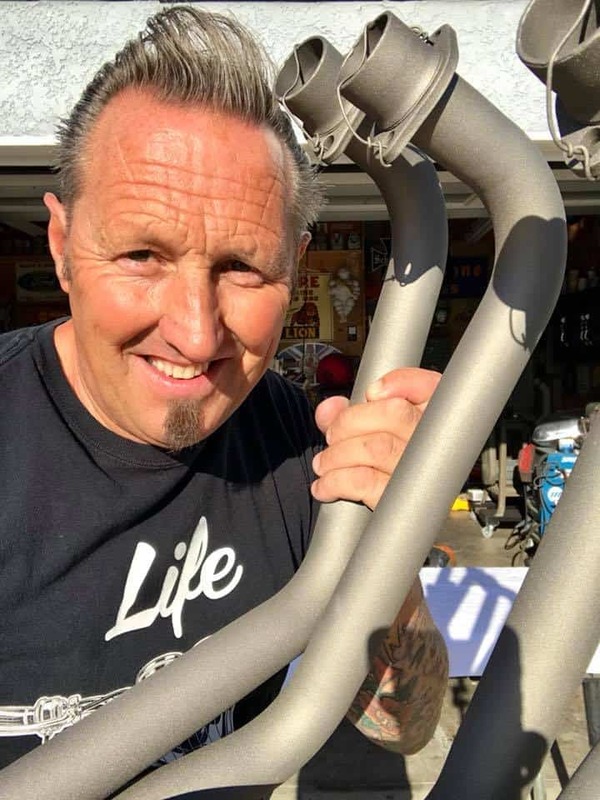 Wow- hard to believe that I have been selling these systems for over 18 years now and still going strong, so this time I thought that I would offer a new Ceramic Coating Color, as many people ask me about these things. 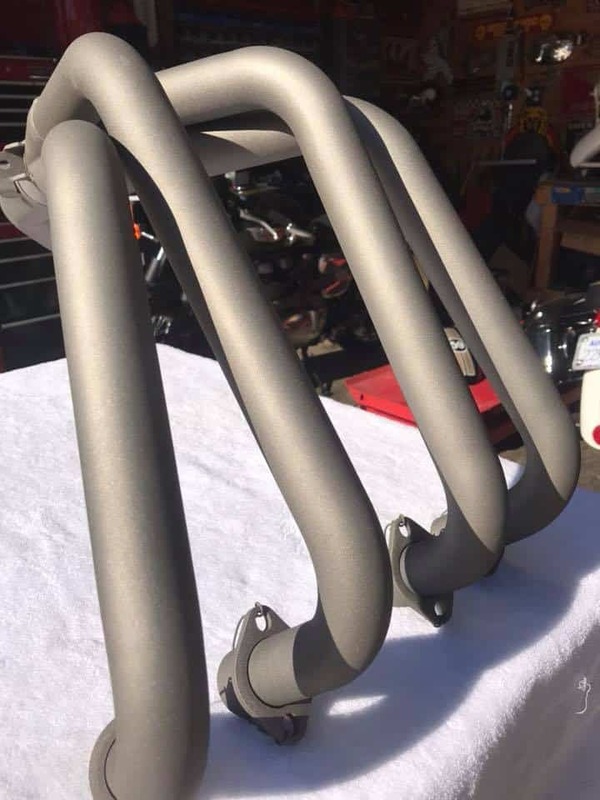 So what I now offer is the New Titanium Coating and it looks really cool, its a Gray but a metallic gray and really covers well. 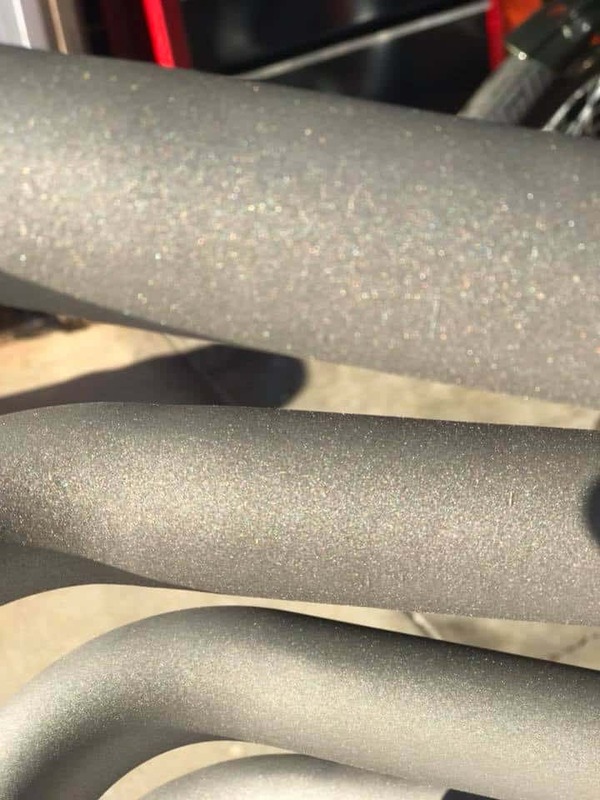 Here’s how they work—Ceramic Coatings and Exhaust Wraps help contain the gaseous heat within your exhaust pipes. This causes the gasses to heat up and expand. 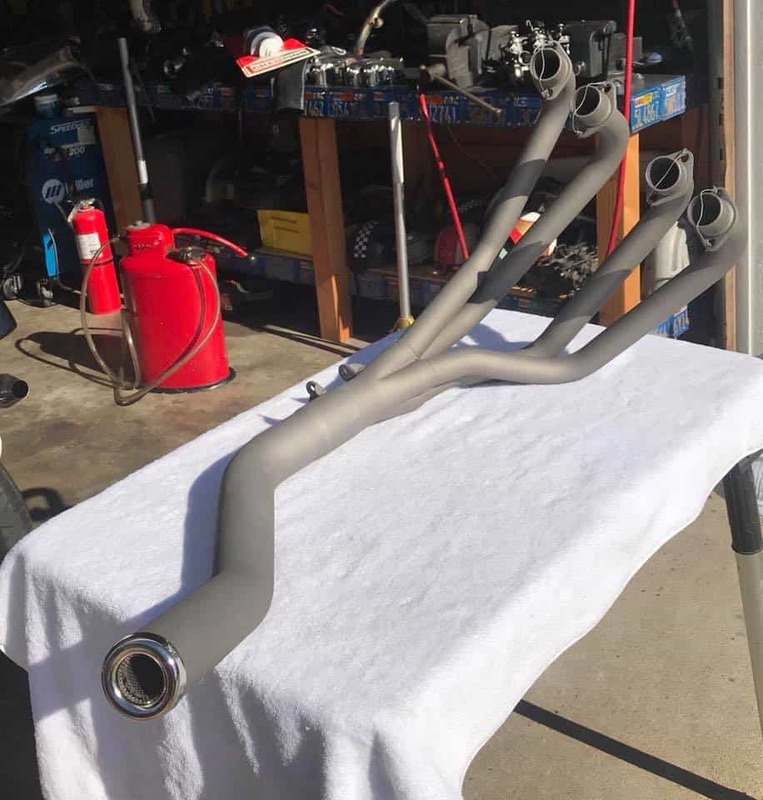 Since the exhaust gas is trapped within the system, it expands the only direction it can—out of the tailpipe. As a result, exhaust flow is boosted, allowing a rush of fresh air to enter the engine’s cylinders, increasing horsepower. 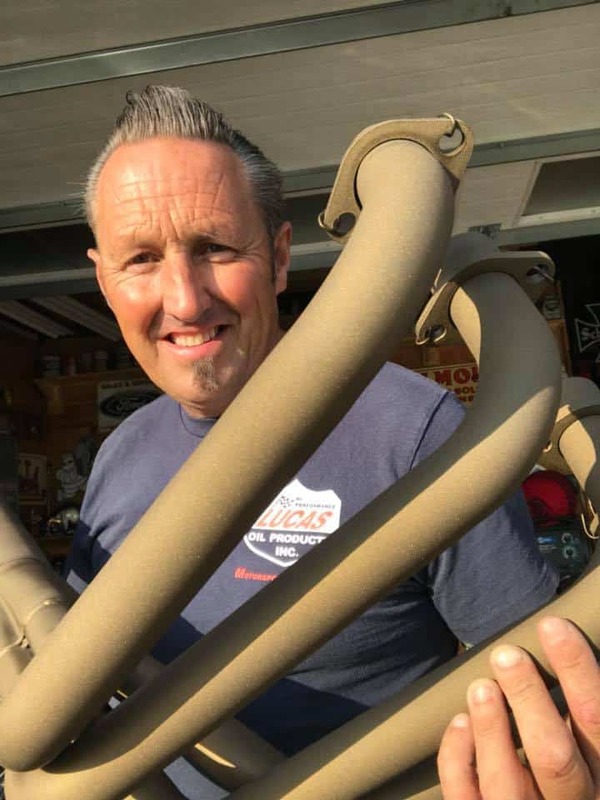 Both ceramic coated headers and Exhaust Wraps improve horsepower, so let’s go over their pros and cons and see which one is best for you. This is a spray-on finish that’s infused with heat-insulating ceramics. 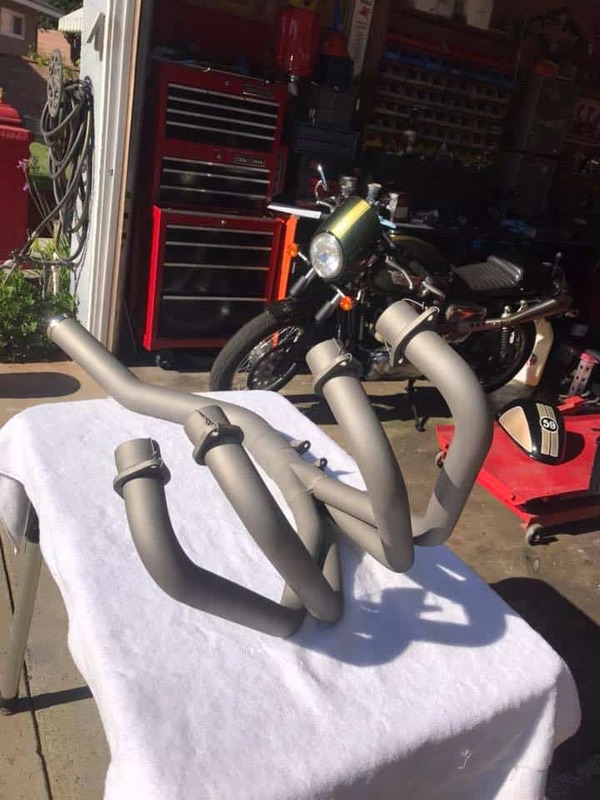 It is not a DIY solution, these exhaust parts are coated at the factory, or sent to a facility with the proper equipment. 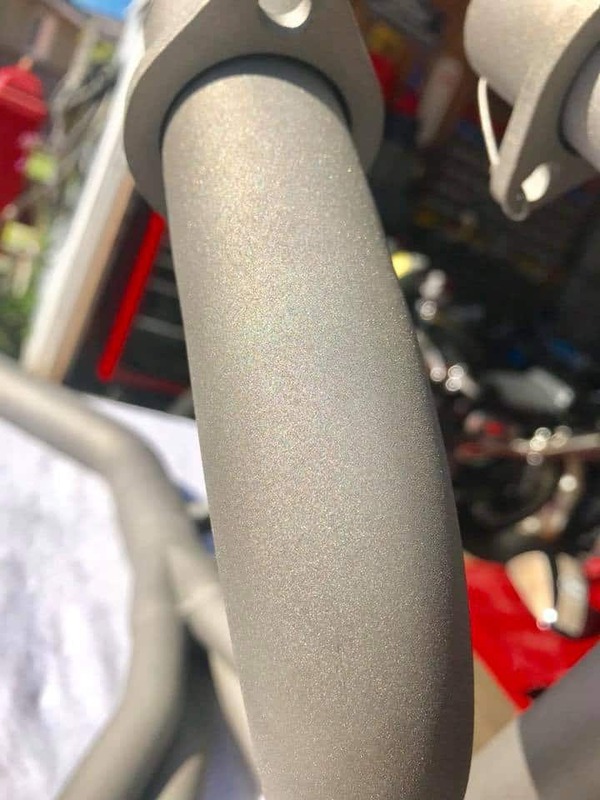 Looks great—some coatings resemble chrome plating. Plenty of great colors now available and I offer. The New Titanium which is what you see here. This is a great look and changes the look of your machine instantly than just the Black you see. But I also offer these colors too. Black- Silver- Burnt Bronze, with more options coming soon. Wanted to show the New Titanium as this is a old school look and I really like the way these came out to be honest. Just go on the exhaust page and on the drop down box, simply choose the color that you would prefer for your system, its as easy as that. If I can help you with any of these options you can simply email me at carpy@carpyscaferacers.com or drop a Dime in the slot at 714-598-8392 and if you need answers fast, then Text them to 714-598-8392 and I will get right back to you. 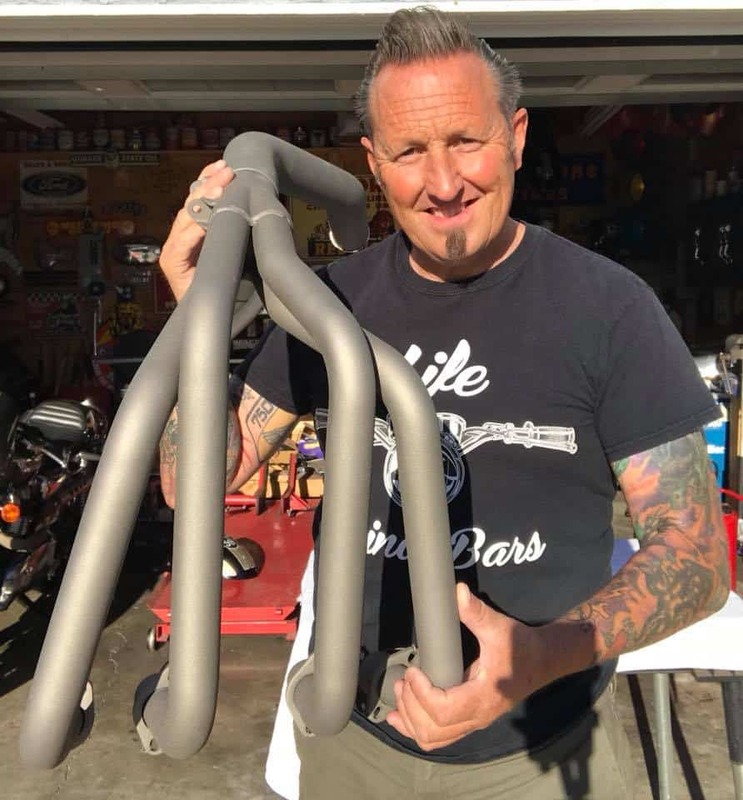 This entry was posted in Blog and tagged 4 into 1, brat, cafe racer, CB500, cb550, cb650, cb750, cb750a, cb750f, cb750k, Ceramic Coating, custom, Custom Exhaust, dohc, four cylinder, Honda, honda four, inline 4, performance exhaust, sohc, yoshimura.